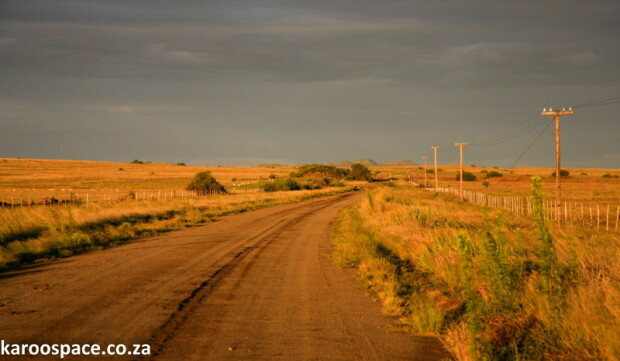 A dusty road in the southern Free State, near Fauresmith. Outside of Kimberley I pull in at the filling station and roll down the window. A wave of heat floods the inside of the car. Nothing moves. A yellow flag stirs helplessly. I wonder if they’ve closed for lunch and whether I’ll have to serve myself. Then, from under a pepper tree near the diesel pump runs a young man with flashing white teeth. I ask him to fill the car and clean the windscreen. We speak about the weather and about the rich people’s 4×4’s travelling down to the sea for the holidays. His skin is beautiful and very black, glinting in the sun like coal. When I say I am going home he says he already knows that because he can see it in my eyes. I tell him my home is hundreds of kilometres to the south, past Fauresmith, over the Orange river and into the far Karoo. The Catholic Church in Jagersfontein, between Kimberley and Colesberg. ‘That dry place,’ he says. He looks at me with those great shining eyes, ‘Like church,’ he says, ‘But without the choir.’ Laughs at his joke. Then he looks around to make sure he isn’t going to get into trouble for talking too long to a customer, even though there is nobody else in sight. ‘Tomorrow I’m going to pay auntie Adams the last money for the dress.’ It is the down payment on his little sister’s outfit for her matric dance; tomorrow morning he will take his bicycle and his week’s wages and ride down to the dress-maker to hand over the money. Then he will attend the graduation with the rest of his family, though he still needs pants to match his blazer. 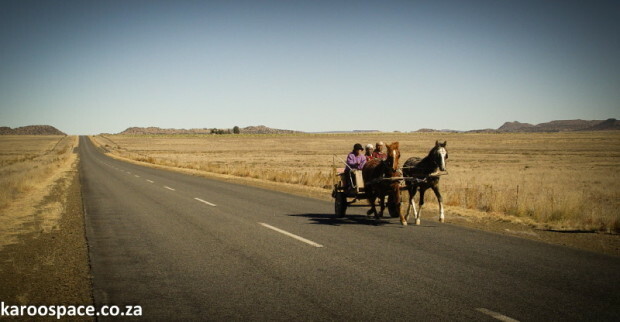 On a quiet southern Free State road. I open my suitcase in the boot and pull out a pair of black legal trousers. The young man takes them and tells me to wait. ‘Do not move,’ he orders me. Then he runs off behind the building while I stand obediently at the car. The sun drills down relentlessly. Out he comes again in my work trousers and a black jacket, out to the thorn tree with its sparse leaves, where he takes up a position in the shade, legs apart, chest forward. And there he begins to sing. He sings an aria that I recognise, in a high tenor voice that is rich and clear. Caro mio ben, credimi almen, senza di te languisce il cor – Oh dearly beloved, believe me, without you my heart is filled with sorrow. I am stunned. For there we are, the two of us – he under the thorn tree with his passionate vibrato soaring into the blue, me sinking down against the petrol pump, overcome with sadness and beauty. 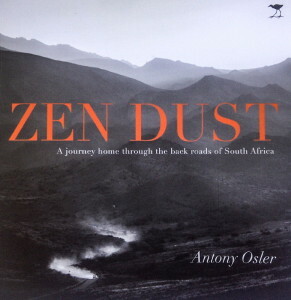 Zen Dust, by Antony Osler, published by Jacana. This is an extract from Zen Dust, the latest book by Antony Osler. He is a Zen Buddhist, teacher and legal arbitrator. Antony also wrote the much loved Stoep Zen. Zen Dust was published in 2012 by Jacana Media. The ISBN number is 978-1-4314-0617-3 and it is available from most bookshops or from Margie and Antony Osler who have a lovely guest farm called Poplar Grove, south of Colesberg. Contact them via margie@stoepzen.co.za. 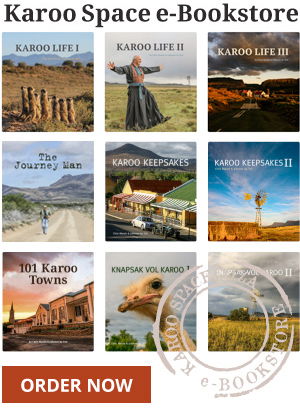 Karoo Keepsakes II has Arrived!